A children’s opera version of the Noah’s Ark story, involving hundreds of Shropshire children, has received a much-needed boost. Shrewsbury legal firm Wace Morgan Solicitors has stepped in to provide valuable sponsorship for the spectacular production of Noye’s Fludde. 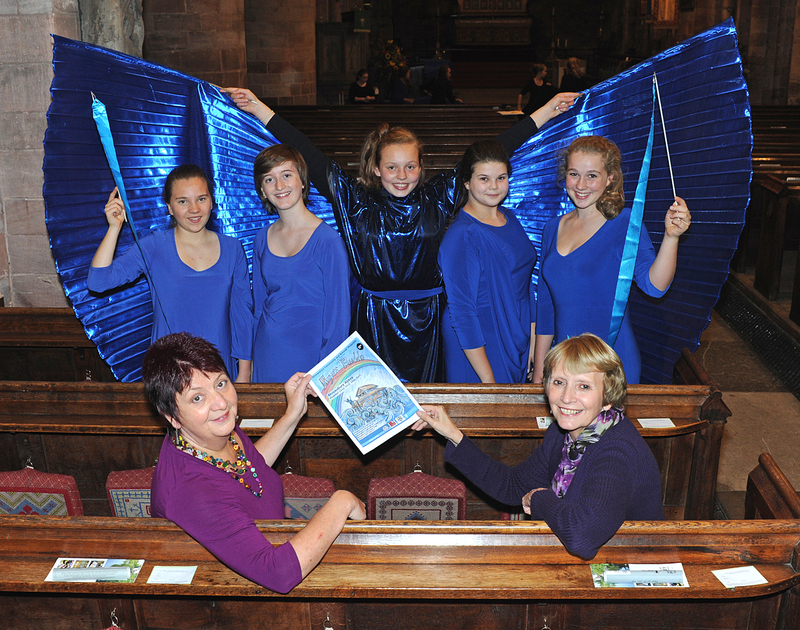 The unusual production, which will see around 160 ‘animals’ going into Shrewsbury Abbey two by two, is being performed from October 21 to 24 to mark the centenary of composer Benjamin Britten in 2013. Producer Maggie Love said that she was delighted with Wace Morgan’s support: “The firm has a strong commitment to community arts events and we are thrilled that they have agreed to sponsor what promises to be a spectacular show,” she commented. Written in 1958, Noye’s Fludde is an unusual piece of music theatre, embellishing the Biblical story with plenty of spectacle and pageantry, some twists and moments of humour. Diana Packwood, managing partner at Wace Morgan, which has offices in Shrewsbury and Newtown, said that the firm always strived to help local arts events where it could. It will involve large numbers of young children, students and professional musicians – and audience participation – and the performance is updated with hi-tech light and screen projection, including collaboration with local sound and film specialists and professional theatrical costumiers. The production is being organised from Shrewsbury High School, who are providing the core of the student orchestra, senior singers, and dance team, but the pairs of animals will be drawn from St George’s Junior School, Coleham Primary, Mereside Primary School and Shrewsbury Prep.